PEMCO works with vendors who share our values, and our commitment to the communities we support – through quality of products and services, operational strength and fiscal responsibility, and with those who demonstrate pride in ethics and community presence. To be considered as a PEMCO vendor, a PEMCO substitute W-9 vendor information form must be completed and submitted to accounts.payable@pemco.com. PEMCO works with vendors who share our commitment to the communities we support – through quality of products and services, operational strength, fiscal responsibility, ethical practices and positive community presence. All U.S. claims vendors are required to complete a W-9 form before payment can be made. Information collected on the W-9 facilitates accurate 1099 IRS reporting. If you will be providing goods or services on a PEMCO claim, please send us a typewritten W-9 or complete a PEMCO Substitute W-9. For faster processing, submit an electronic version of the form. Please include the claim number. 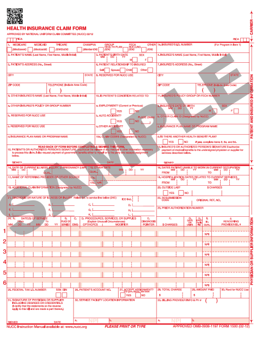 Send your completed form to payee.codes@pemco.com or fax it to 206‑676‑7160. You can also mail it to PEMCO, P.O. Box 778, Seattle, WA 98111-0778. If you need to make any changes to your information on file with us, please send in a new W-9 or submit an updated PEMCO Substitute W-9. If you are a foreign (non-USA) vendor, the W-8BEN (for individuals) or the W-8BEN-E (for entities) must be completed. For more information about these forms and requirements, please visit the Internal Revenue Service website. Want to receive your payments electronically? PEMCO has electronic funds transfer (EFT) capability to expedite claims payment processing. Once payment is issued, it may take 48-72 hours for the payment to process. You will receive an explanation of benefits with the details of the payment (including the customer name, invoice number and other claim details). If you are already set up as a vendor with PEMCO, fill out an EFT Authorization Agreement and return it via the instructions on the bottom of the form. If you have not yet submitted a W-9 or PEMCO Substitute W-9, please return to the Vendor Setup section above and follow the instructions. Currently we cannot process EFT requests for foreign funds. Mail all bills to PEMCO at P.O. Box 778; Seattle, WA 98111-0778 or email them to medicalbills@pemco.com with the 11 digit PEMCO claim number in the subject line. You can also fax them to 206-268-2715. If you have questions about medical bills you have submitted for payment or to obtain the claim number for your patient, please contact the assigned adjuster or call customer service at 1‑800‑467‑3626.